Lice Treatment Twin Cities MN - Nit Removal Guaranteed - Ladibugs Inc.
Are you looking for a head lice treatment that offers exceptional results without the use of harsh chemicals or messy shampoos? At Ladibugs Hair Care, we serve children and adults in the Twin Cities area of Minnesota, providing non-chemical nit removal that requires only one sitting! We understand parents hesitate to use potentially dangerous products that may contain pesticides, and that may not be effective even after repeated treatments. This process completely eliminates all of eggs and lice, so you can rest assured that your child (or yourself) will experience relief from the intense itching and embarrassment often caused by this condition. While it may seem this would be a condition that isn’t as prominent today as it once was, head lice is actually more common than ever before. Given the fact that so many children and teens engage in the practice of taking “selfies” to post on social media (often touching heads with their friends), the problem continues to spread. It is essential to remove eggs as soon as you know they are present, as these pests don’t go away on their own – and the likelihood of others contracting the lice only grows the longer nits are present. Whether you need an effective shampoo that actually works and does not involve the use of dangerous chemicals or are looking for a one and done head lice treatment, count on our professionals for reliable options than end the agony of lice for good. 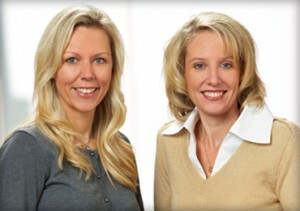 Call Ladibugs Hair Care today at 612.804.8888.